The last time Thomas Gold took over NYC’s Governors Beach he pulled out all the stops – complete with a live drumline – for a show that’s still talked about to this day. Well, he’s back for the attack on August 2nd to kick off the hottest time of the year with double duty at Governors Beach and Pacha… and once again this is a non-stop party not to be missed! 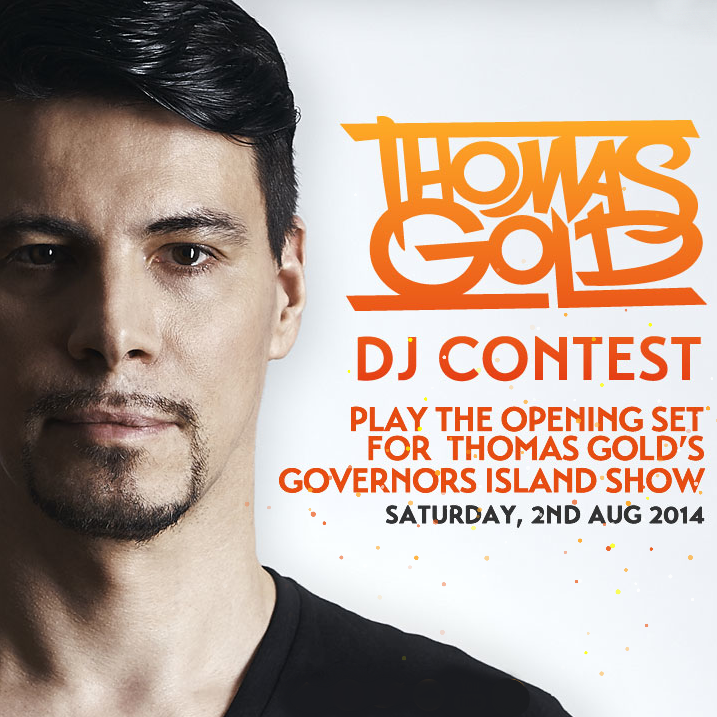 Enter by July 14th for your chance to play the opening set at Thomas Gold’s Governors Island show in New York City on August 2nd 2014 and the official after-party at Pacha NYC by uploading your 15-minute mini mix on SoundCloud. Voting will take place July 15-21 followed by a judging by Thomas Gold himself. To enter SUBMIT YOUR MIX HERE and get the full details. Become a part of an unforgettable experience – join Thomas Gold on his next island adventure now!